Our Salon & Spa is located in the heart of Wyomissing and offers Hair, Nail, Makeup, Skin Care, and Waxing Services for Men, Women and Children. Our mission is to provide a comfortable and friendly environment while you relax and enjoy your service. At Lisa's Salon & Spa, we are committed to helping you look and feel your best. To ensure optimal satisfaction with the outcome, we start your service with a thorough consultation. Our main goal is to make sure we meet our guests expectations. Our talented and educated technicians will recommend the services along with follow up home care that you will need to achieve the best results. We provide continuing education in the Beauty Field to our team of professionals. Complimentary consultations are available by Appointment. "If you look good, you feel good!" Lisa has been in the beauty industry for 30 years. She earned her Cosmetology license in 1982 and completed her Teachers Program at the Pittsburgh Beauty Academy. She has continued her training in Cosmetology and Skin Care at Empire Beauty School, Bumble & Bumble Academy in New York, Coppola and Keratin. Lisa specializes in short haircuts, color, directional highlights/lowlights and is Certified in Keratin Smoothing Treatments. Nancy has 16 years of experience in the beauty industry. She graduated from Lancaster School of Cosmetology with an Aesthetics license. She is certified in Dermasweep MD, Hydra Facial MD, dermaplanning, advanced chemical peels and body polishing. She also graduated from Empire beauty school with a nail license and attended East West Massage Therapy for reflexology. Nancy's passion for the industry keeps her current on trends and products to provide her clients with the best skin and nail care possible. 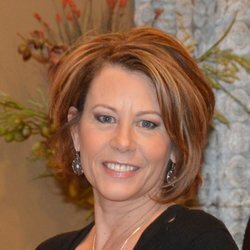 Kelli has 19 years experience and specializes in Curly Hair, Color, Directional Highlights, Cutting and Upstyles. She has studied at Bumble & Bumble in New York City and continues to further her education by attending various classes. Kelli is a Certified Keratin Smoothing Treatments Specialist. I graduated from Reading Muhlenberg Vocational-Technical School with a cosmetology license in 1998. I’ve worked consistently in the industry and joined the staff of Cinergi Salon / Spa since 2007 and now Lisa's Salon & Spa.. I enjoy doing trendy hairstyles and innovative hair color. My extended education includes the Wella Academy in New Jersey, Bumble & Bumble in New York and Matrix Conference in Palm Springs, CA, in addition to the classes I attend on an annual basis to keep up with the latest trends in cutting and color. I received my cosmetology license in 1998. I have attended many ongoing education classes over the years. Some include: Ruth Roche, Brocato, Pureology as well as many others sponsored by Paul Mitchell, Graham Webb and Redkin. While enjoying all aspects of the industry, I specialize in texture services and look forward to furthering my knowledge in the business while having fun. Kelly has been an Esthetician for over 20 years. With the Skin Care industry continuously evolving, she stays current by attending as many educational classes as possible. I graduated from beauty school in 1997 with a cosmetologist license. Services I provide include acrylic nails, pink & white nails, natural nails, pedicures and waxing. I have been with Cinergi Salon/Spa now Lisa's Salon Spa - since 2004. I accomplished the “Master Nail Design” certification with creative nail design. I also participated in and won national nail competitions. I am fun, outgoing and dependable. I love to make my clients feel and look polished. with my husband and our Yorkie, Veruca. I graduated from Berks Career and Technology Center in 1998. Since having my cosmetologist license, I have been providing all natural and artificial nail services, pedicures and waxing. I have been a manicurist at Cinergi Salon / Spa since 2000 and now Lisa's Salon & Spa. The favorite part of my job is giving my clients the attention they deserve. Seeing my clients leave happy and renewed every time is what makes my career so rewarding. When I’m not working I love being with my friends and family. I try to make the best out of every day. I enjoy life and love to laugh! "Love your Hair as I do"
Celeste has 35 years experience and specializes in Hair Cutting and Color. She is a graduate of the Wilfred Academy with continuing education in Color and Hair Design. She specializes in Color Techniques, Hair Design and Japanese Chemical Straightener. Certified Keratin Smoothing Specialist. I have been an esthetician since 1992. Since that time, skin care has evolved substantially. I am certified to perform advanced peels and innovative skin treatments, as well as laser hair removal and laser skin rejuvenation. I continue to train and certify in the latest techniques available to me. Teresa has 35 years experience and loves to do it all. She has extensive training in mens clipper classes, Alexxi, Advanced Highlighting Techniques and product knowledge. Teresa is also Certified in Keratin Smoothing Treatments. Laura has 11 years experience and specializes in Hair Extensions, Upstyles, Cutting, Color and 3D Color. She graduated from Empire Beauty School. Laura specializes in Gelish, Natural Nails, Pedicures and is the salon educator for nails. Her accomplishments include 2003 Best Use of Color, 2004 Best of Show, 2005 Best Makeup, 2006 Best Team in Hair Ball - City of Hope. She was also published in Passion Styling Book 2005. I joined the Cinergi Salon / Spa family in 2002 and now Lisa's Salon & Spa. I am an assistant to all the hair stylists and most known for my awesome shampooing technique. Additionally, I provide support for all things “backroom” and waxing services. Nikki graduated with a license and teaching license from Cosmetology School in 2005. She is also a graduate of Lehigh University with a degree in Business. Nikki loves working with clients being create and helping achieve their desired styles. She enjoys balayage, short cuts, and loves to work with clients who are ready to make a a change. Jessica has 13 years experience as a Nail Technician. She graduated from Berks Career and Technology. She has completed the CND Brisa Gel Master's Class and has attended many classes for Nail Art. Jessica specializes in Brisa Gel, Manicures, Pedicures, Nail Art and Parafin Treatments. Jessica enjoys sending her nail guests home feeling relaxed and beautiful! Sheilah has worked in the salon for 3 years. She is an experienced Esthetician with 20 years in Make-Up Artistry in the Print and Film Industries both locally and in LA. She is certified in HydraFacial MD. I graduated from Pulse Beauty Academy, a Paul Mitchell Partner School, in 2009. I have been a professional hair stylist for 7 years and have been at Cinergi Salon/Lisa's salon and Spa for the last 5. I also have 3 years of professional experience as a balayage and color correction specialist. ​I am fully committed to listening to my clients requests along with offering my best insight to reach their fullest style expectations. Each day, I strive to learn, grow, and stay current in all aspects in the Hair industry. I love doing color, balayage, long hair styles, and color correction and I am always open to unique and trendy hair color requests. During my free time, I love spending time with family, my significant other, and my friends. Some of my favorite things include the beach, my 2 cats, Harry Potter and volleyball. Sabrina was the winner of Hair star of the day from Instagram "Best of Hair" in 2017, Hair of the Week in December 2017 from "Cosmoprof Beauty". She will be featured in the upcoming 2018 February Cosmoprof stylist magazine. In the past few years, Sabrina has been featured in some of the best instagrams in the Hair Industry such as Modern Salon, Matrix, Cosmoprof, Behind the Chair, Masters of Balayage, The Business of Balayage, Imallaboutdahair, and Beyond the Ponytail. I am a graduate of Empire Beauty School and have been working at Cinergi Salon /Spa since 2007 and now Lisa's Salon & Spa. I specialize in formal event / wedding hairstyles, braiding and blowouts. I love to manipulate the hair to do things that seem impossible. I also love the color / cut clients that always walk out of our doors happy and satisfied! In addition to my own passion to learn more, we are always encouraged to take classes to further our education in this forever changing industry. "Happy Hair - When you look Good, you feel Good and Everyone's Happy!" Alysia has 33 years experience in the Hair Design Business. She enjoys all kinds of color from directional highlights to fun color and all types of haircutting. She continues her education with haircutting, color and product knowledge classes. Becky has a Bachelors Degree in Administration and Marketing from Alvernia University. Dene has worked in the salon for 4 years as a Receptionist.